Play Frank Casino is owned and operated by EveryMatrix. It is licenced in Curacao and features games from NetEnt, Microgaming, Play N’ Go, NYX, Endorphina and Evolution Gaming. At PlayFrank Casino you get a 100% bonus up to €/$100 + 50 Bonus Spins. The minimum deposit to claim the welcome offer and bonus spins is only €/$20. The 50 Bonus spins will be credited INSTANTLY to your account. 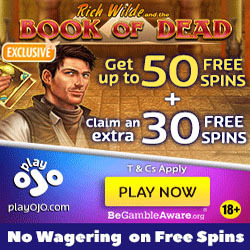 Deposit £20 or more and get 100 Bonus Spins INSTANTLY! *The Bonus Spins will be available on Grim Muerto for Canadians and on Starburst for all other countries where NetEnt Casino games are available. Deposit £20 or more and get 100 Bonus Spins on the Starburst Slot INSTANTLY! New players only. Min deposit £20. 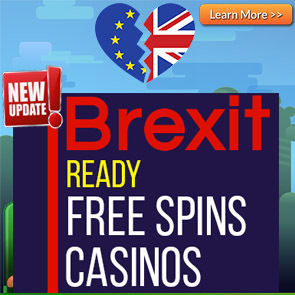 Package is split in 3 deposit bonuses to a max of £300 + 200 bonus spins. Wagering bonus(+deposit) 35x. Wagering bonus spins 40x. 1. Tha maximum bet when playing with a bonus is €/£/$5 per round. 2. 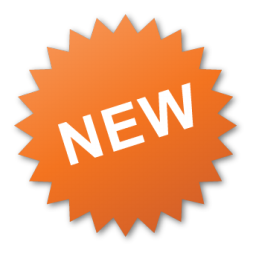 The wagering requirement on the welcome offer is 35x. 3. Restricted Countries at PlayFrank: Lithuania, Belarus, Latvia, Czech Republic, Bulgaria, Hungary, Ukraine, Slovakia, Latvia Poland, Bosnia and Herzegovina, Croatia, Estonia, Lithuania, Romania, Russia, Greece, France, Italy, Spain, Portugal, Turkey, Republic of Moldova, Malaysia, Georgia, Philippines, Kazakhstan, Vietnam, Thailand, Indonesia, Pakistan, India, Nigeria, Bangladesh, Mongolia and Ukraine, USA and China. 4. Players from Canada will receive the 1st deposit bonus spins on the Grim Muerto Slot. 5. Deposits made via skrill or neteller are not eligible for the welcome offer. 6. The wagering requirements on the bonus spins winnings is 40x. 7. Restricted games when playing with a bonus include: Koi Princess, Big Bang, Eye of the Kraken, Lucky Angler, Blood Suckers, Dead or Alive, Kings of Chicago, Devil’s Delight™, Mega Joker, The wish Master, Champion of the Track, Robin Hood, Pearls of India, Tower Quest, Scrooge, Demolition Squad, South Park, South Park: Reel Chaos and Jackpot 6000.